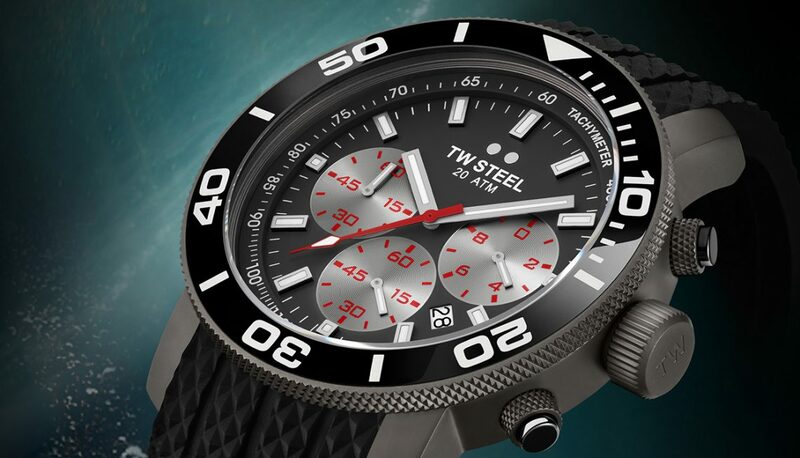 TW Steel has launched its popular Grandeur Diver collection after the success Pilot collection earlier this year, and opted for a dramatic overhaul by introducing six new models with a style conscious look but with an undoubted masculinity. 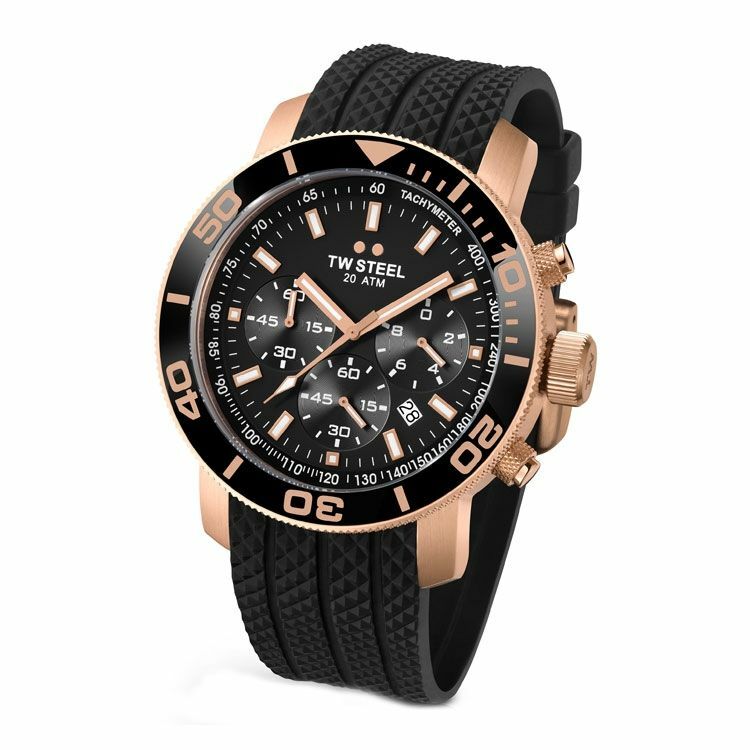 This underlines TW Steel’s philosophy of delivering affordable luxury to the consumer, including the TW700 and TW701 that feature a steel case with a black dial with a bold red chronograph second hand, the TW702 and TW703 coming with a rich PVD rose gold plated case and finally the TW704 and TW705 boasting a PVD dark titanium coated case along with a titanium coloured dial and silver subdials. The models all boast a state-of-the-art Big Caliber Chronograph Miyota 6S20 movement which is four times more powerful than any other chronograph movement currently available further showcasing TW Steel’s continued use of only the finest technology. “I was excited to be able to incorporate the new Big Caliber Chronograph movement in these watches, it’s an incredibly powerful and accurate movement and one that fits our oversized designs perfectly thanks to its big size. These are very masculine timepieces and a true evolution of what we wished for in upgrading Grandeur Diver.” Chief Design Officer, Ton Cobelens. TW Steel is available online and in selected stores.